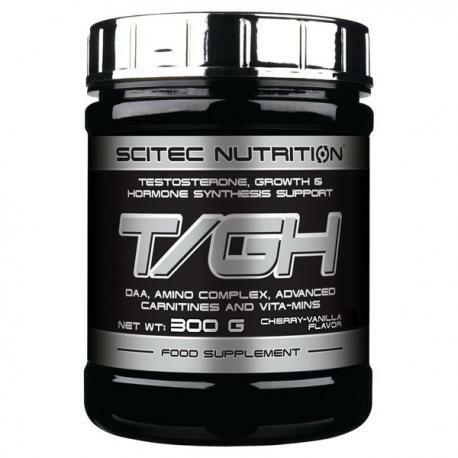 Scitec Nutrition T/GH represents a new generation in the product category. It provides a complex Testosterone, growth and performance optimization support with 12 potent, select ingredients! It provides DAA (D-Aspartic Acid) in the researched, strong 3 gram dose, and Carnitines in the advanced forms of Propionyl L-Carnitine and Acetyl L-Carnitine. 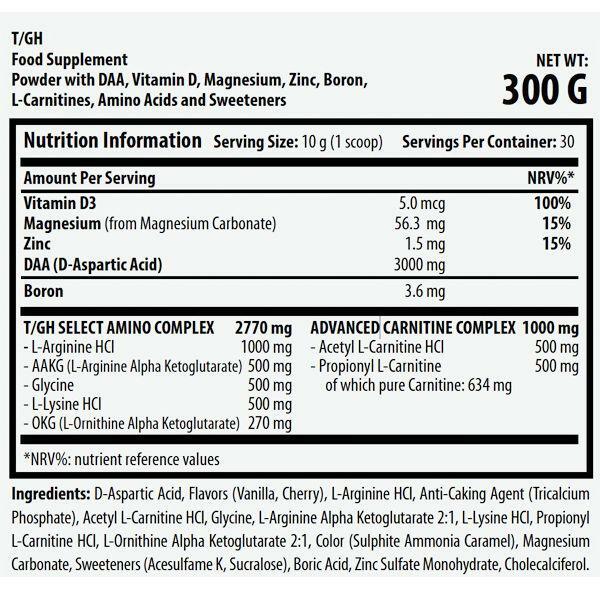 AKG versions of Arginine and Ornithine are also included in the amino complex! T/GH contains Vitamin D3, Boron and other essential minerals of which Zinc contributes to the maintenance of normal Testosterone levels in the blood, and contributes to normal fertility and reproduction. Vitamin D supports the maintenance of normal muscle function and contributes to the normal function of the immune system. Magnesium contributes to normal protein synthesis, normal functioning of the nervous system (neurotransmission and muscle contraction including heart muscle), to the reduction of tiredness, fatigue, normal energy-yielding metabolism and electrolyte balance. Mix 1 serving (10 g) with 200 ml water daily and drink before going to bed.